Erlenwein Wines, ABN 92 136 466 278, PO Box 343 Narre Warren 3805 Victoria, is the holder of a Victorian Limited Liquor Licence number 36147711. Any sales of alcohol made via this internet site will be made on that liquor licence. The applicable law for transactions for the purchase of alcohol on this internet site is the law of the State of Victoria. Under the Victorian Liquor Control Reform Act 1998 it is an offence to supply alcohol to a person under the age of 18 years, and/or for a person under the age of 18 years to purchase or receive liquor. You must be 18 years of age to place an order on this internet site. The delivery driver will not leave goods with persons under the age of 18 years; do not ask your children under the age of 18 years to sign for the delivery. The State Government has introduced several initiatives concerning harm minimisation of alcohol, one of which is to restrict same day delivery of internet/telephone orders. Therefore, we will not perform deliveries on the same day the order is placed. Product availability, vintages and prices are subject to change without notice. If the price of product ordered has changed you will be informed by email and asked for further instructions. If a straight dozen or half dozen wine ordered is not available, we will contact you and suggest a replacement, or offer a full refund. In a mixed dozen or half dozen, if one of the wines in not available, we reserve the right to make a substitution of another wine of equal or greater quality and price. Wine is a living product and no winemaker can ever give a 100% guarantee that you will never have a problem, regardless of the brand or the price you pay for the wine. So no matter how hard we try, we realise that sometimes we may have a bottle or batch that is out of condition. We offer a guarantee of replacement wine or your money back in the rare occurrence of a faulty wine. If you have any problem please contact us and we shall happily resolve your problem by sending replacement stock at no charge, or issuing a full refund, depending on your individual circumstances. If you are not happy tell us; if you are happy please tell your friends. ii) Incorrect address/shipping details given by customer. In the advent of goods being delivered to the wrong address as a result of incorrect or poor address details being given by the customer, absolutely no responsibility is taken by Prospect Wines. The reclamation of goods delivered to a wrong address can be a slow and costly task as the wine has to be shipped back to our warehouse by Australia Post and then dispatched again to the correct address. In the event that this occurs due to your error, we may charge you with the cost of reclaiming the wine and the cost of the dispatch again. iii) If the incorrect address was our fault. Erlenwein Wines endeavours to ensure any material published is correct, but we acknowledge it may contain inaccuracies or typographical errors. We may make changes to information we publish at any time without notice. Whilst we take every precaution with the files we make available on our website, protection from malicious or destructive content such as viruses or worms remains your responsibility. Our site may also include hyperlinks to other external websites. 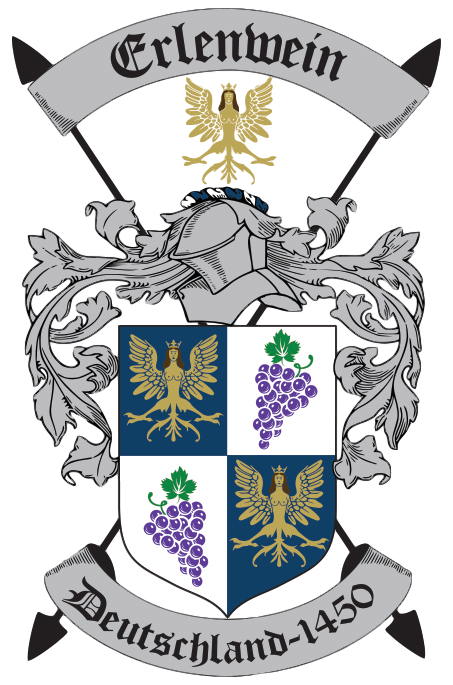 Erlenwein Wines makes no representations or endorsements about any product or service on these external sites and accepts no responsibility for the content or use of any such external site accessed through our site.